We’ve been told that Category 5 TV, an online technology show, will be featuring Qimo on tonight’s episode. Tune in at 7pm Eastern to watch it live, or any time after on their website. A couple of weeks ago, ZaReason sent us a shiny new Invenire 1220 running Qimo 2.0 for a review. This is the first time I’ve ever seen Qimo running on a machine I hadn’t put it on, and the fact that it was like that out of the box was one of the coolest experiences I’ve had. Having Qimo available as a pre-install option is not only a great opportunity for Qimo, but an easy way for parents to get a working computer that’s safe and inviting for their kids. And even if that weren’t enough reason to recommend ZaReason, this Invenire itself is a great machine. 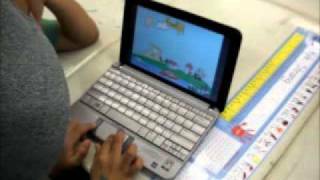 It may not look like it was designed for kids, but trust me on this one, it will get their attention and their interest. The transparent, illuminated window invites questions about what the different pieces are and how they work, sparking a desire to learn and explore that is so very fitting for a Qimo desktop. We were very excited to hear this week that ZaReason has a new PC model geared towards children and young adults, and that you can get it running Qimo 2.0! Not only that, but Qimo is the default and recommended operating system for this model. And at $299, it’s perfectly priced for children who are old enough to use an actual computer, but not yet needing (or wanting) a workhorse. Not that the Invenire 1220 is a lightweight when it comes to hardware, it sports a 1.8 GHz processor, a full gigabyte of memory, and a whopping 500GB hard drive. It’ll take an awful lot of TuxPaint drawing to fill that much space. For inventors, explorers and all those who love to discover, we built a desktop that gives you a glimpse into the beautiful guts of your machine. Peek through the clear plastic side to see what makes this computer run. Designed for students of all ages, this desktop is packed with features specific to learning. While many distros run on this machine, if it is being purchased for a younger student we highly recommend that you select Qimo. It features large icons and easy-to-use menus so children can easily learn to navigate on their own. Qimo is useable by children as young as three years, but it remains engaging and versatile for older children as well. If purchasing for an older student or teen, feel free to select Ubuntu or another sophisticated distro. We’re doubly excited because ZaReason is loaning us one to evaluate ourselves! Expect a thorough write-up with plenty of pictures once it gets here. Andy Leonard has written a Qimo module for Puppet, a popular open source data center automation and configuration management framework. This seems like it would be helpful to anybody who wants to deploy Qimo to an Ubuntu computer lab. You can get the module code from his github page. How are you using Qimo? Drop us an email and let us know! We have been working with PC vendors to provide computers suitable for children that come with Qimo already installed. We were first approached by Linucity.com after Scale 8x, and they immediately started offering both a desktop and laptop customized with Qimo at an affordable price. 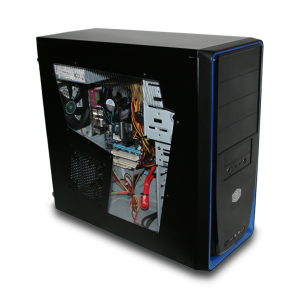 Just last month we also added Homebuilt PC to our list of vendors, they also offer both a desktop and a netbook running Qimo. We plan on adding more vendors to our lineup in the near future, so keep an eye out for updates. If you are are a vendor and are interested in offering Qimo on your own line of PCs, send us an email at info@qimo4kids.com. You can find links to these PC vendors, as well as links to purchase printed Qimo CDs and apparel at our Shop Qimo page. 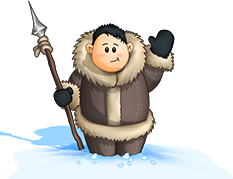 After much hard work, and some delay, we are pleased to bring your the second version of our popular Linux Desktop for Kids! 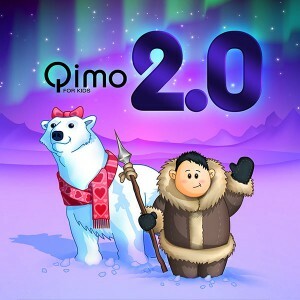 First off, I’d like to thank Brian Hall for once again providing the amazing artwork that makes Qimo so special and appealing to children of all ages. I would also like to thank Jonathan Carter for patiently helping me learn how to create Ubuntu packages and get them uploaded into the official repositories (more on that below). 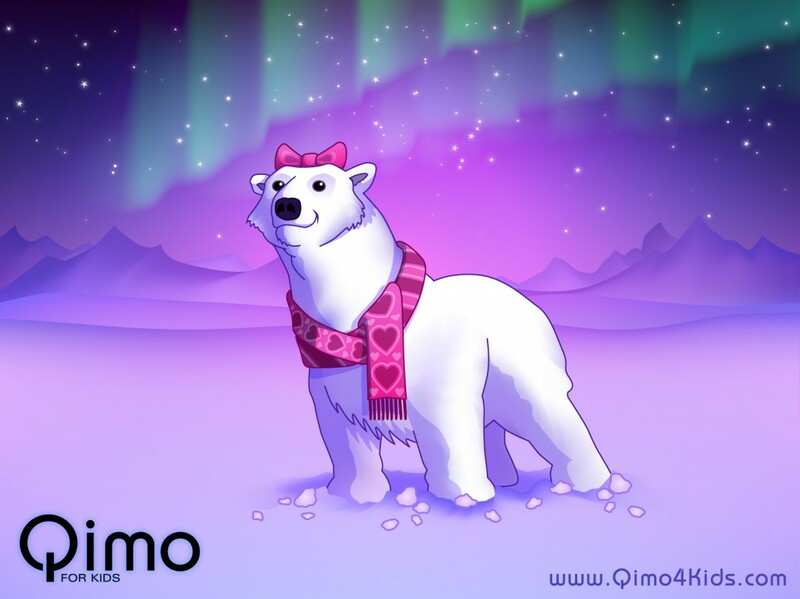 We have introduced a new character to Qimo, her name is Illa, a cute and cuddly little polar bear. Illa (pronounced ‘ee-la’) is an Inuit word that means “friend”, and we know she’ll find her way into the hearts of your kids. She also has her own wallpaper featuring the artic landscape at dusk, filled with hues of pink and purple with the Auroa Borealis shining in the sky. Choose from a variety of Qimo and Illa wallpapers to find the one that is just right for your child. Have more than one child? With Qimo 2, they can each have their own user account! The Xubuntu session is still there too, so you can create an account for yourself as well. If you are already running Ubuntu 10.04, there’s no need do a fresh install to get Qimo. Now you can add the qimo-session package from the Universe repository using Apt-get or Synaptic and you’ll get all of the games, artwork, and desktop session installed. We have had one game change in version 2. Replacing eToys on the launcher is Laby, a very simple and easy game that will teach even the youngest aspiring programmer all the basics. 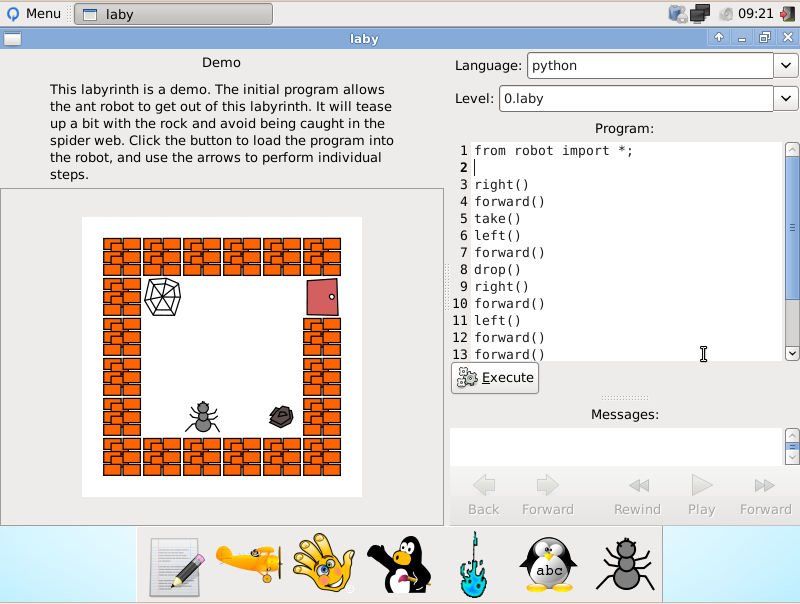 Tested on an actual 5 year old, Laby has proven to be a very approachable and effective teaching tool that we hope will inspire a new generation of software developers. Our direct download mirrors are busy updating to the new release. If you can’t get through to one of them, you can download it via Bittorrent. Our Download and Shop pages will be updated as we hear from our partners. Direct downloads are available on our Download page! We have produced a collection of screenshots from Qimo 2.0, including the desktop, installation process, and each of the included games. Feel free to use these images when talking about our new release. Please contact info@qimo4kids.com for additional information or comments.